Teachers and staff use email as the primary means of communicating with parents. However, a good old-fashioned phone call is always welcome. You should expect a return communication within 24 hours (weekends and breaks not included). Parents should always begin conversations regarding concerns with classroom teachers and then include the principal as needed. For general inquiries, please send an email to our office. 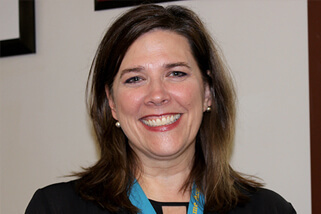 Mrs. Ginger Vance is a highly effective principal and has years of experience in education and other fields that she brings to Notre Dame Academy. Mrs. Vance believes in being a life long learner and providing a school atmosphere filled with faith, service, learning and of course fun. 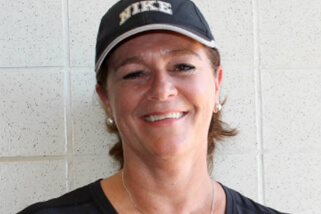 Mrs. Liz Flom has been working in the school office since 2014, and has a business and education background. 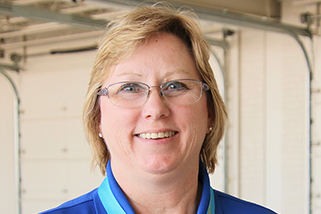 Over the past nineteen years, she has been involved in the school as a parent, volunteer and employee. Her favorite time of year is back to school time when the students and families are back in the building. 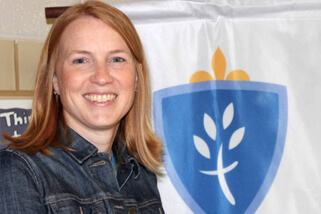 Mrs. Louise Wilson is the first person you meet when you come to Notre Dame Academy. Her English accent is noticed by all and loved by the students, who repeat all the announcements she makes on the PA system. 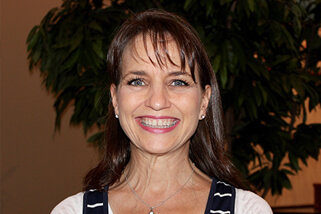 She previously worked at St. Gabriel’s Parish before starting at Notre Dame Academy in 2013, where she is happy and blessed working with your children every day. 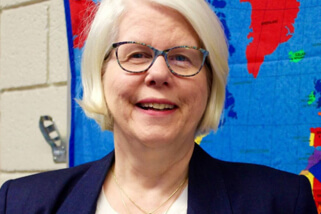 Ms. Vivian Pritchard comes to Notre Dame Academy after spending many years doing Development work and volunteer work in a variety of Catholic school settings. She spent last spring at NDA teaching in the preschool, and returns excited to use her expertise to advance the mission of the school. Ms. Pritchard loves the welcoming and receptive demeanor of the NDA community. 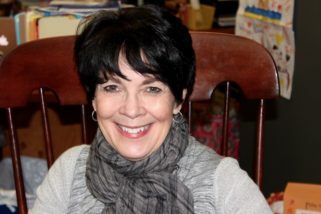 Mrs. Joann Meyer is in her third year at Notre Dame Academy. Mrs. Meyer, her husband and their three children have been part of the school community since 2006. After working in the corporate world for several years, Mrs. Meyer feels blessed to spend her days in the school office and loves welcoming new students. This is Mrs. Roraff’s second year teaching and she is thrilled to be a part of LADC at NDA this year. In 2016, she received her bachelors in K-6 education, with a preprimary endorsement and licensure from Concordia University, St. Paul. Her greatest joys are helping people, spending time with children and watching them learn through joy and play! In her spare time, Mrs. Roraff enjoys hanging out with family and friends, singing, dancing, laughing and playing guitar. Ms. Morgan Davis has always loved working with children. She is excited to serve NDA as our Lake Area Discovery Center Site Manager. After teaching Kinderstart last year, she is returning to the Discovery classroom where she previously taught. Ms. Davis grew up in Blomkest, MN, which is a small town of 100 people and she loves spending time with her family. Her favorite holiday is Christmas and her favorite bible verse is Proverbs 17:17. Ms. Allison Pankratz graduated from the University of Minnesota in 2016. You may remember Allie as Ms. Loken, however her new married name is Ms. Pankratz. Allie enjoys spending time with her five year old dog, Auggie. Working with children brings such a beautiful purpose to her life. She’s excited to continue being part of the amazing, faith driven community at Notre Dame Academy. Ms. Bylund loves working with preschoolers. After working in our Summer Wow program, this is her first full year at NDA, however, it’s her sixteenth year working with this age group. Ms. Bylund went to college at the University of Minnesota to earn her BS in Family Social Science. She is a recent empty nester and therefore now has more time for her favorite hobbies which include scrapbooking, volunteering at the library and dancing. 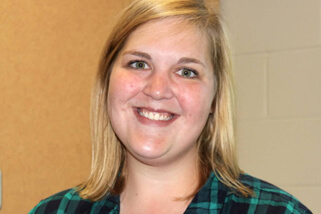 Ms. Dwyer grew up in Duluth and received an AA degree from Lake Superior College before transferring to NDSU to complete her BS degree majoring in Veterinary Technology. Ms. Dwyer is interested in completing a masters degree in Speech Language Pathology. She loves hiking at parks with her dog and being outdoors. 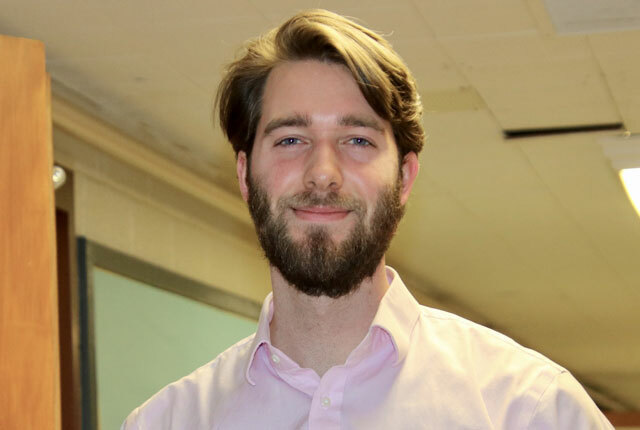 Mr. Hannah is new to Notre Dame Academy this winter and is excited to work within our school community. Mr. Hannah is the Extended Adventure program lead teacher and an afternoon assistant. Mr. Hannah earned a BA in History at Indiana University and he enjoys camping, hiking, reading and cooking in his free time. Mrs. Amy Jo Dupre received her degree from the University of Minnesota in Natural Resoures. She has years of experience working with restoring/enhancing habitat for wetland wildlife, managing prairie habitat, vegetation surveys, conducting bird counts while working with the Trumpeter Swans. When she is not in school, she is active at Saint Anne’s and spends time with her family hiking, riding bikes and reading. Hallie Keenan is the Kindergarten teacher at Notre Dame Academy. 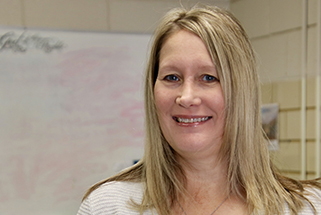 She strives to create a hands-on, active environment for her students to succeed and grow. Through the use of STEM and other engaging activities, Miss Keenan helps students to become excited learners and problem solvers. Ms. Schacht is so excited to be starting her first year of teaching at Notre Dame Academy. She is a graduate from the University of St. Thomas and has a passion for the Lord and working with children. She takes the time to get to know all of her students and strives to create a welcoming and fun classroom environment where everyone can reach their full potential. Ms. Prudence O’Connor is a dedicated, well-educated teaching professional. 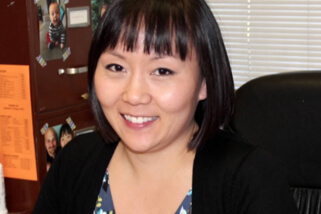 She comes from a family of educators and has experience with a variety of children in a wide range of settings. Ms. O’Connor embodies the principles of a lifelong learner. Mrs. Gross is the third grade teacher at Notre Dame Academy. 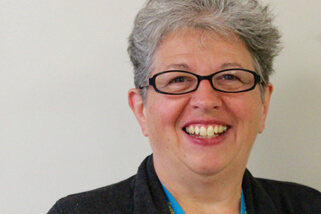 She has committed her entire professional career of over twenty-five years to Catholic education. Mrs. Gross brings our NDA mission to life every day providing a program of academic excellence, grounded in faith, maximizing the strengths of her students. She is an advocate for her students’ needs and strives to meet the potential of all her students. Mr. Weeres is excited to be the new fourth grade teacher at NDA and we are excited he has joined the downstairs hallway! Mr. Weeres has been a Catholic school teacher for the past four years. 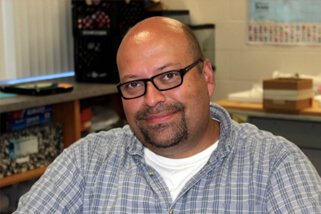 When Mr. Weeres is not teaching, he enjoys fishing and spending time with his fiancé and their dog, Bo. Mrs. Janel Dysart is in her eighteenth year of teaching. 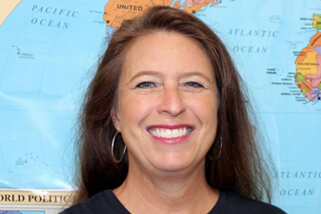 She has taught fifth grade for the past fifteen years and also spent three years as an Elementary Music Specialist. 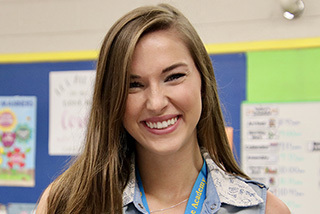 She loves coming up with new and creative projects for her students, enjoys incorporating technology whenever she can, and has fun making music videos with her class each year. She enjoys music, superheroes, and spending time with her family. Ms. Jeanne Sharp has been teaching in Catholic schools for the past sixteen years, and is currently in her fifth year at Notre Dame Academy. Some highlights Ms. Sharp looks forward to during the school year are Catholic Schools Week, the middle school retreat, Math League, and the eighth grade pilgrimage. In her spare time, she enjoys reading, canoeing, hiking, and travelling. Mr. Kelly Dopp lives in Elk River, Minnesota with his wife, two children and two dogs. This is his fourth year teaching Social Studies at Notre Dame Academy and couldn’t possibly love his job any more than he already does! He previously taught at a Jewish school in St. Louis Park, and prior to that he spent twelve years in the printing industry. 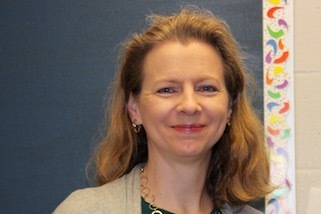 Ms. Aggie Maurer enjoys teaching language arts and religion here at Notre Dame Academy. She loves getting to know each and every one of her students. During her free time, she enjoys the outdoors, music, photography and reading. Ms. Maurer loves meeting new people, and is sure she will be learning just as much as her students! 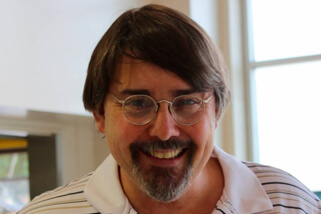 Jerry Dargis graduated from the University of Minnesota with a BS in Environmental Education and Natural Resources in 1998 and started his teaching career outside as an environmental education specialist. He then taught in conventional classrooms at Nativity of Mary, St. Alphonsus, Visitation, and Thomas Jefferson High School. 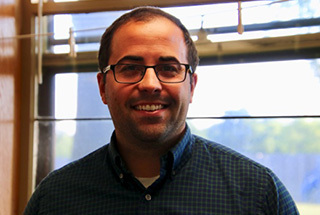 Mr. Dargis is in his fifth year at Notre Dame Academy. He lives in Bloomington, MN, with his wife of 27 years, three daughters, two cats, one dog and a corn snake named Sid. 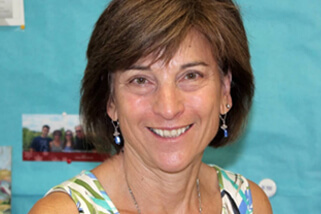 Mrs. Lori Wukmir has spent the last fourteen years with the NDA community, teaching music and drama! A native of Colorado, she first made a living in the Twin Cities as an actress before receiving her teaching license from the University of Minnesota. She loves getting to know ALL the kids at NDA, but looks forward most to putting them all on stage! 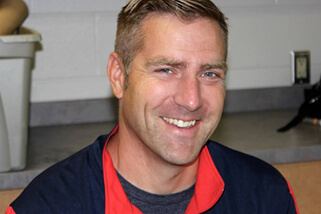 Mr. Bestler came to be the Director of Bands at the Hopkins/Minnetonka Catholic Schools in 2000 after several years of working at Hopkins High School. In addition to directing the Notre Dame Academy Bands, he is a performing multi-instrumentalist in the Twin Cities metro area and conducts two adult professional bands. He also teaches the Jazz Studies program at Chaska High School and is the owner operator of a local small business. Mrs. Maggie Turner started at St. John’s in 2007 and has been with NDA since the beginning. She loves seeing the kids practice speaking in another language and being excited to learn about different cultures. Mrs. Turner enjoys spending time with her husband and two children. Dr. Bill Kobe, after being a chiropractor for twenty-five years, returned to what he initially started to do upon graduating from high school – being an art teacher and artist. He has been teaching visual arts for the past eighteen years, here in Minnesota, Florida and the past five summers in Beijing, China. He brings years of experience in teaching and would like to add to the overall richness of the arts offerings at NDA by inspiring his students to be fearless and curious creators. Mr. Daren Tesch has been teaching in the Catholic school system for almost two decades. On any day you may find him teaching health to the middle school students in the classroom, teaching Physical Education to the preschoolers, or supervising the gym during our home sporting events. He believes in teaching life long health skills to keep our students healthy long after they leave Notre Dame Academy. Mr. Milton Stephens shares his musical skills at NDA by serving as the school’s Mass accompanist. You may also spot him at Lion’s Lair or even in the classroom occasionally, substituting for another NDA teacher. 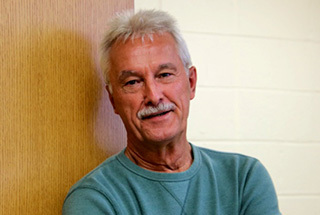 Mr. Stephens grew up in Minnetonka, attended Hopkins High School, and graduated from the University of Minnesota with a B.A. in Mathematics. He is an experienced pianist and enjoys sharing his passion for music whenever he can! 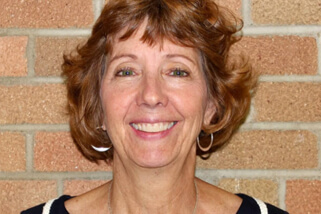 Mrs. Roberta Whitman is a seventeen-year veteran of Hopkins Special Education Department. 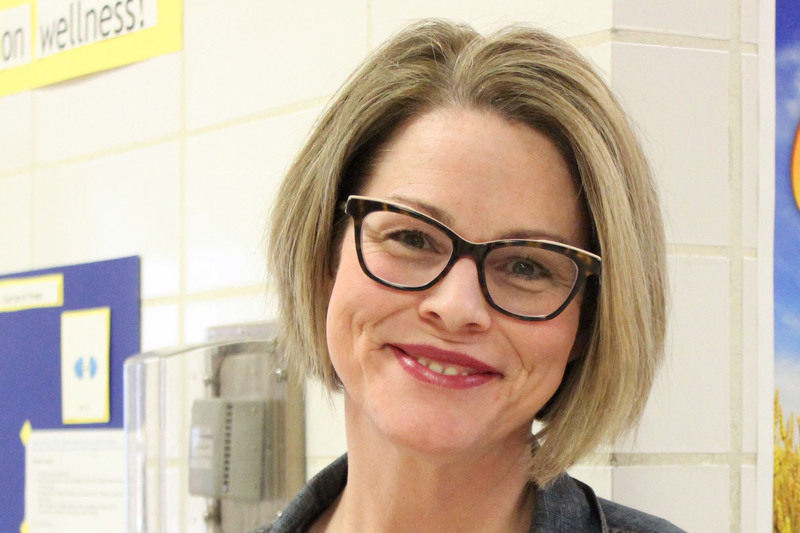 As a teacher of students with a wide range of disabilities, she brings her expertise to Notre Dame Academy to boost the learning of some of our struggling students. Roberta was excited to serve students in the non-public schools. Mrs. 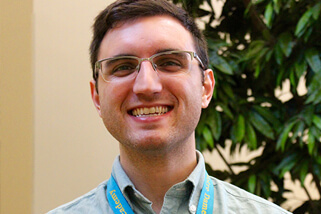 Hazard has spent over a decade as a technology teacher and a library media specialist. 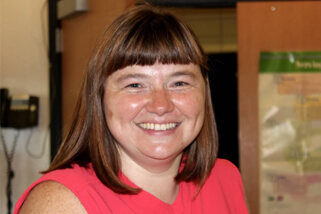 She loves developing and refining student technology skills, encouraging their curiosity, fostering a love of learning, and teaching awareness about digital citizenship. Mrs. 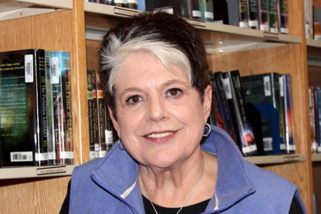 Hazard received her bachelors degree in Library Services & Information Technology from the University of Maine and her masters in Elementary Education from Massachusetts College of Liberal Arts. She enjoys reading, hiking, kayaking and spending time with her husband, and their two boys. Ms. Rosie Murungi is a High-Quality Ingredient Kosher Certified Chef with over thirteen years of experience in the fast-pace environment handling food, menu planning, recipe development, and budgeting. Ms. Murungi holds an Associate Degree in Culinary Specialty and an Associate Degree in Restaurant Management. 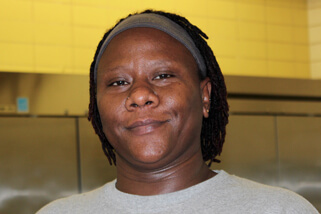 She enjoys providing healthy and delicious food to the students everyday. 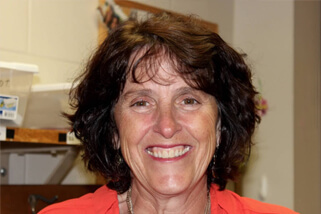 Mrs. Mergen started working in NDA’s Lions’ Den Cafe as the Assistant Food Service Director in 2013. After “retiring” from mortgage banking in 2003 to raise three girls, she is blessed to be back working in a place she loves. One of Mrs. Mergen’s girls still attends NDA. The favorite part of her day is interacting with each student and capturing many precious moments as a NDA photographer. Mrs. Heather Discher has two girls who attend NDA. Mrs. Discher loves working in the lunchroom with the kids as well as IHM’s parish office working as the bulletin editor. Mrs. Kathie Witta absolutely loves working with NDA students! After more than twenty-five years of working with seniors, Kathie, an IHM parishioner, has been with NDA since its first day. Thanks to her many grandchildren, Mrs. Witta relates well to kids and understands the importance of reading to help students in their life beyond school. 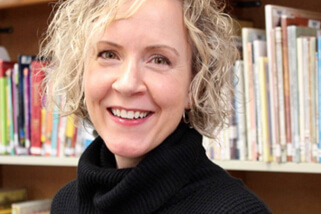 Mrs. Krista Wiederholt is delighted to be reading, researching, wondering and exploring with students in our elementary school library, including three of her four children who currently attend NDA. Mrs. Wiederholt employs her enthusiasm, faith and creativity to make the library an exciting and engaging part of every student’s week. Mrs. Teresa Williams and her husband, Bud, have two daughters at Notre Dame Academy. Anna is in the fifth grade and Claire is in fourth grade. When Mrs. Williams isn’t working or at school, her family enjoys traveling, biking and camping. Mrs. Jill Rost is our 7th & 8th grade Hopkins school counselor. One of her roles at NDA is to teach the social/emotional components of the health curriculum. This year she is also helping to lead our student council. With 20 years of experience as a school counselor she finds a variety of ways to help students reach their full potential. Mrs. Pat Boyd is the district nurse who has supported NDA since the start. 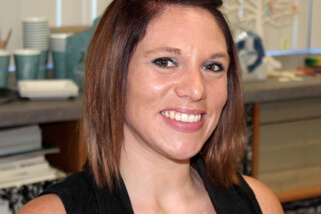 She loves working with children as a Licensed School Nurse and wants to provide a safe and healthy environment for your children. Mrs. Boyd and her husband raised three daughters and now love spending time with two wonderful grandsons. 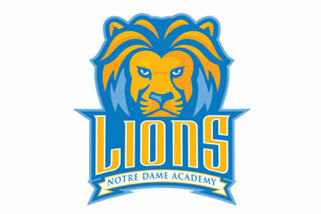 Notre Dame Academy provides quality extended-day child care and summer programs for our students, K-8th grade. The program provides teacher-directed activities as well as free play, homework help, arts and crafts, music, dance and technology. Fr. 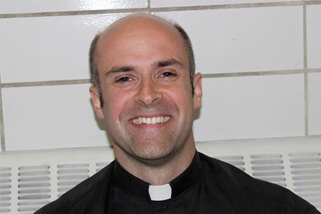 Jim Liekhus is pastor of St. Gabriel the Archangel in Hopkins and Canonical Administrator of Notre Dame Academy. He attended Catholic schools growing up – St. Anne’s in North Minneapolis, Benilde-St. Margaret’s in St. Louis Park and the University of St. Thomas in St. Paul – and believes strongly in the role Catholic schools play in handing down our Catholic faith to the next generation. Fr. 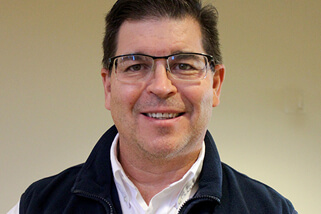 John serves as the pastor of Immaculate Heart of Mary Catholic Church. Having gone through Catholic Schools for most of his life, he is convinced of the value of a Catholic education. Being a part of Notre Dame Academy fills him with a whole lot of joy.